For many North Central and Shadle Park high school students, it’s one of the biggest events of the year. Some would call it just a couple of basketball games, but to these students, it’s become something much, much bigger in the two decades since its inception. It’s a spirit contest — an all out battle between the student bodies of these two rival high schools. The fact that the event takes place at Spokane’s largest venue, the Spokane Arena, only serves to amplify the excitement — just as it does for the Rubber Chicken game between Lewis and Clark and their rival Ferris and the Stinky Sneaker that pits University against Central Valley. But even though tradition has anchored the event at the Arena, its future at the venue isn’t set in stone. With tighter budgets and a changing economy, keeping these “spirit games,” as they’re known, at the Arena has become a challenge. Although school is out for the holiday break, Kara Stermer, a North Central junior and the school’s student body vice president, is busy decorating the school for the Groovy Shoes spirit week that begins shortly after the students return for break. Her school’s theme is Star Wars and she’s pretty pumped about that. Shadle Park has opted to go all out Scooby Doo this year. But Stermer says that having the event — which consists of both boys and girls basketball games and a collection of spirit contests — wouldn’t be the same if it wasn’t at the Arena. “The Arena is tradition. It’s what makes or breaks Groovy Shoes,” she says. The Arena’s leadership wants to keep Groovy Shoes and the other spirit games at the Arena, but acknowledge the economic realities of doing so. 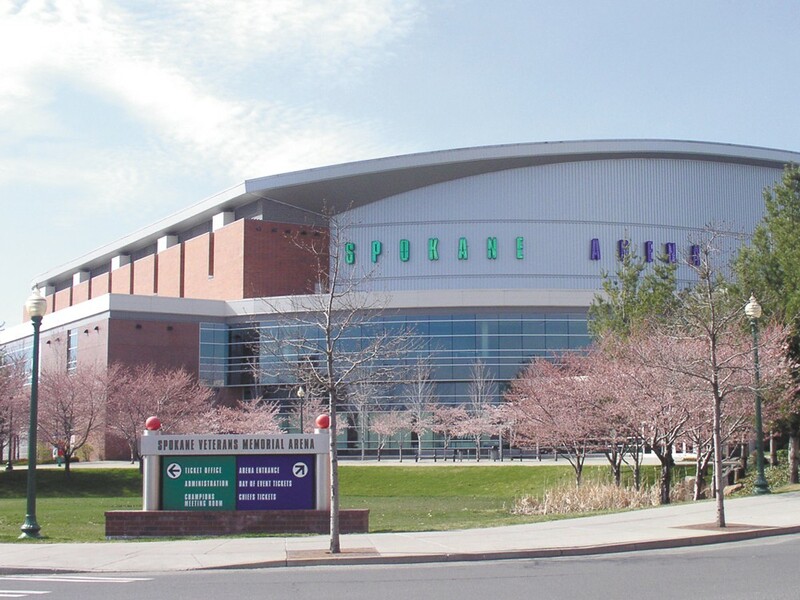 Matt Gibson, the Arena’s general manager, says that he is meeting with the Greater Spokane League officials to work out a deal to keep the games at his venue. Groovy Shoes has been known to draw thousands to the Arena, but a cheap ticket price means they need big crowds to offset operational costs of the event. There’s no shortage of interest, of course — in fact, almost all of the North Central student body marches behind a fire truck to the game from their campus in a tradition that sets the stage for the rivalry they’ll engage in once inside Spokane’s largest venue. Camellia Nash, a substitute teacher and volunteer coordinator for North Central’s Groovy Shoes efforts is also a 2006 graduate of the school and has seen how the event has brought together the student body and the community. And how do you help keep these traditions going for the city’s schools? That’s easy: just go to the game.